Although you already have the ideal sunroom design you wish to install in your home, never forget to use the appropriate words in translating your vision into reality. 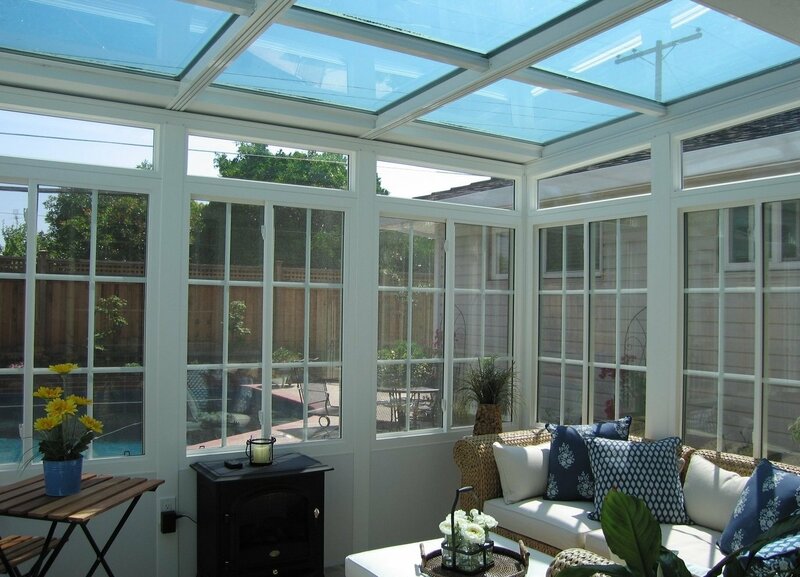 With the help of Pacific Builders as your design contractor, rest assured your sunroom installation is in good hands. Be sure of your design choices. Before you start the installation process, be certain of the sunroom that you want. Since adding a sunroom or porch enclosure to your household entails lots of plans, decide first on what sunroom type you wish to have. Also, determine the sunroom that perfectly fits your lifestyle. To help you in this situation, Pacific Builders is here to correctly define some sunroom terminologies that you can use. Pacific Builders’ sunrooms may come with screen rolling panels. These screens maximize visibility while keeping the glare at a minimum. These almost-invisible screens offer structural integrity. Aside from that, they consist of an aluminum mesh painted in black to promote superior strength and resistance against sagging. They stay clean lengthily compared to usual fiberglass screens. They have an extruded aluminum frame that provides maximum durability and longevity. Screens come in standard form to fit with all screen rooms and sunrooms. When it comes to solariums, screens are elective choices. Pacific Builders’ electrical raceway post is an optional alternative for screen rooms and three-season rooms, but it is a standard among four-season rooms. This post gives you the opportunity to add interior or exterior electrical features that include cables, telephones, speaker, and fiber optics to your sunroom. This feature is not offered in all sunroom manufacturers. However, Pacific Builders does. Weather stripping in Pacific Builders makes use of a polypropylene barrier situated in between windows and doors. Doing this provides weather resistance and protection. Weather stripping also comes in different levels depending upon the sunroom type of choice. For screen rooms and three-season rooms, polypropylene weather stripping is used. Polypropylene stripping with additional fin seal is utilized in other three-season rooms. Meanwhile, triple polypropylene stripping plus fin seal is used in all four-season rooms and solariums for added moisture protection. Pacific Builders offers a state-of-the-art weatherlock system that is a standard in all rooms. This particular system enhances the weather stripping function of ensuring an exceptional seal to outside elements such as wind and drafts away. For added protection, this interlock system creates a tighter fit between doors to combat the outside harsh weather. Pacific Builders showcases a wide array of roof selections for your sunroom. This section will be covered in Sunroom Vocabulary part two. In the meantime you can call our estimators to find the perfect sunroom roof for you today.